Like any self-respecting country singer, Loretta Lynn was born into poverty in a colourfully named Kentucky hamlet – Butchers Hollow, in this case. The daughter of a coal miner, she was married at 13, though happily not to Jerry Lee Lewis. She does not quite complete the c.v., not having been to jail, but this is serious country cred. She also had a feisty, no-nonsense assertion on behalf of women: brave stuff in its day. Still needed, actually, judging by the news from Hollywood. Here is one of her gutsy-sentimental songs, from the 1973 LP, Love is the Foundation, a declaration that this Southern Belle ain’t no doormat. In the 1950s there was a person with the initials G.S. who lived in my area. He or she liked music and collected records. I know this, because a box of 10-inch shellac records turned up in an op-shop near me, and most of them had “G.S.” neatly written on them. Sometimes, G.S. used a little sticker; other times he or she used white paint, delicately applied with a thin brush. My guess is that this was because G.S. took records along to parties, and wanted to make sure they came back again. The G.S. collection is diverse – this was someone open to different styles. There’s swing and up-tempo dance, pop songs, some guitar blues, a comedy record involving Bugs Bunny and Hiawatha, and also some country. This is one such: a Slim Whitman track from 1952. It’s a country weepy, a genre which requires a singer of conviction, and Slim carries it off. It is beautifully played, too, a fast-paced waltz with some tricky guitar parts. The record has a bad scratch – actually, more of a gouge – which you will hear towards the end, but in spite of this the sound is clear and intimate. One of the beauties of the records of this era is recordings had to be done “live”, in one take, the musicians all playing in the same room. You almost feel as if you are there. There is a life and immediacy to these recordings which is compelling, and which sometime goes missing now that we can chop and change and filter and rework and compress and sample. Given that he or she could afford records, G.S. would have been a young adult in 1952, and so has probably moved on to the great gramophone party in the sky. If so, thanks for passing on your collection. I will take good care of it. This is for you. Like quite a few great Australians, including Pharlap, Tex Morton was actually a New Zealander. Born in Nelson in 1916, he started performing at 14, and enjoyed success with travelling bands, playing and recording country songs. In the early 1930s he did what all ambitious New Zealand musicians do: crossed “The Ditch” (the Tasman Sea) to try his luck in the larger market of Australia. “Larger” is a relative term, of course – Australia was still a small country. But here Morton managed to make a living from his work, touring endlessly, doing tent shows and vaudeville, mixing in whip-cracking, jokes and sharp shooting with his music. Like many country singers in this part of the world, how to sing was a problem. Singing American songs with an Australian accent tends to sound wrong, jarring. We speak with very flat vowel sounds, and that doesn’t translate well to singing. When Australian singers try to adopt an American accent, the result can be even worse: a kind of trans-Pacific accent which sinks somewhere near the Line Islands. But it can be done – just takes practice and trial and error, and Tex was a pioneer in this. In his early recordings he attempts a nasal Appalachian twang, but with time his voice becomes smoother, his delivery more assured: recognisably not American, but not jarring. Morton was among the first people to write and sing songs about the Australian experience with any success. This song is not one of those – we’ll meet him again on Planet Vinyl soon enough, don’t worry – it is his take on an American comic song, “The Cat Came Back”. It appears on a 1970 compilation Sorta Country, put out by the budget label Summit in 1970. Originally released in 1961, it is funny, assured, well-played and sung, and is fitting for Tex Morton. When it was very tough to make a living form music, he kept on touring and singing and playing, developing his own style, through the Depression, through war, through the arrival of television and pop music, doing his own thing. He was the cat which kept on coming back. It is hard to make a living in music. Most musicians do it for love, and either earn nothing or have a day job. So whenever people are payed to play and sing, that is a good thing. If it is playing at birthday parties, playing favorites-and-requests at a country pub, creating a soundtrack for a video game, recording an advertising jingle – whatever. If a creative soul performs and gets some cash for it, then the world is a better place. Many a poet has paid the bills writing advertising copy; this is no different. What’s more, there can be fun and genuine creativity in the most unlikely places. The MOST unlikely places. In 1962, Dunlop launched a new brand of truck tyres. There was a big advertising campaign, including print ads and this radio jingle. It’s a bit twee, there is no getting around it, but a good enough ad. Radio ads were, in those days, distributed on vinyl records. They were never released for purchase, but they sometimes turn up second hand. These records usually have an identical tracks on each side, or sometimes the “B” side was just left blank. 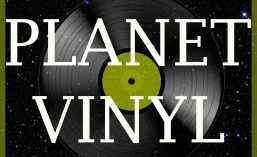 But at Planet Vinyl we love nothing more that the Weird and Unexpected, and what is on the flip side of the Dunlop jingle takes W&U to a new level. It is 1962. You are a country musician, making a living working the RSL circuit in western New South Wales. Then you are offered a commission, for decent money. An advertising jingle – fine, you’ve done plenty of those – but Dunlop also wants you to write and record a full-length song, which will a/ explain why the new tyre is so good, and b/ motivate the Dunlop sales force. But here is a great truth. Give creative people a theme and a deadline, and just let them be, and they will almost always come up with something unexpected, and unexpectedly good. And that is what this unknown group of musicians did here. They wrote, and performed, very well, a song about … truck tyres. It’s a ripper! You will learn about tyre technology! You will find yourself singing the chorus! You will want to get out there and sell truck tyres! A few years ago, I had a book published called Disasters That Changed Australia. As the title suggests it has nothing to do with music or recorded sound, but one chapter discusses fire disasters, something Australians have to live with. Eucalyptus trees dominate the vegetation of Australia to an extent unmatched by any genus of plant on any other continent. Other sorts of forest, especially the pines and firs of Siberia and North America, are affected by fire. Other dry lands have plants which need fire to regenerate, like the proteas of southern Africa. But nowhere else in the world has the forest evolved to burn so readily, and with such fury. The eucalyptus tree is a ‘fire weed’. Some survive fires that would kill most other species. Others, like the majestic mountain ash, only reproduce in the wake of a calamitous fire. The Australian ecosystem is dominated by fire. What the world calls wildfire, but here is always called “bushfire” is a signature Australian experience. Fire does not feature strongly in Australian art or popular culture which is surprising given that. to an extent unmatched anywhere else in the world. But you would not guess it from our art. It is a strange and dangerous absence. We forget about fire. There are a few exceptions: children’s books, some paintings and poems. After the 2009 fire disaster which came to be known as Black Saturday, I wrote some lyrics which were set to music by my brother, Pat Evans, who is a professional musician. The reason I mention these things is that recently I discovered another song about bushfires. It was on an album, one of literally hundreds which recently turned up in a local op-shop. They once belonged to someone who wrote “M” on the labels. I know nothing else about M, but he or she loved country music, both the American wellspring and the Australian sub-tradition, and M’s collection of Australian country from the 1960s is almost definitive. I have been slowly working through them, and one which really stands out is the Johnny Ashcroft LP, Little Boy Lost. The title track was a big hit for Ashcroft in 1960, and this album was put together not long after. The production and musicianship are classy – perhaps the best I have heard from an Australian act of this period – and the songs are strong. Ashcroft does lively versions of some Australian standards – he even manages to make Waltzing Matilda enjoyable to listen to – but most are originals. There is a slight sentimental edge at times, but as Australian songs about Australian experiences, at a time when few people covered that terrain, these are impressive songs. And Ashcroft is a strong singer, with a rich and expressive voice. My favourite track is this one, about the experience of a bushfire and the sheer terror of encountering such a force of nature.